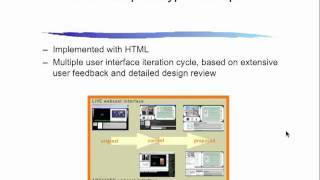 This lecture covers software prototypes. 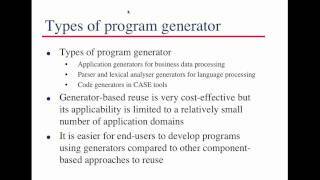 This lecture cover Component Based Software Engineering and the concept of Reuse. 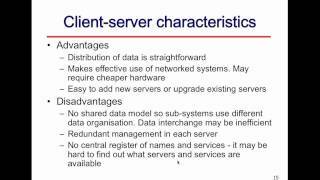 This lecture covers Software Testing Techniques. 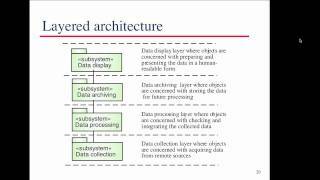 This lecture covers Software Architectures and Object-Oriented Analysis and Design techniques. 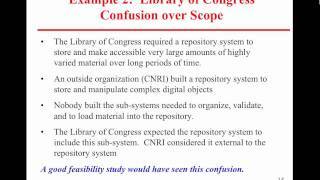 This lecture covers the Analysis document requirements. 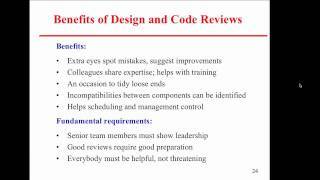 It also covers lectures 4 and 5 on ERD and DFD concepts. 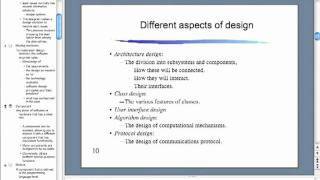 This lecture covers and introduction to Object-Oriented Analysis and Design. 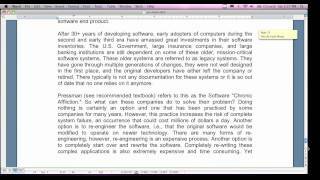 This lecture covers Software Cost and Time estimations. 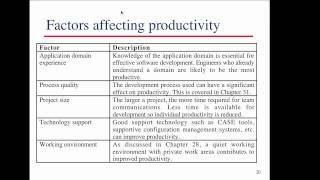 This lecture reviews assignments 1-5, discusses the midterm and CSLO and overviews the due dates. 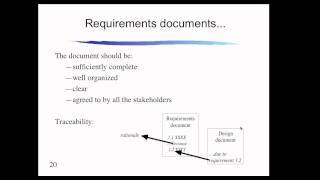 This lecture covers lecture 2 which covers the Software Requirements Document. 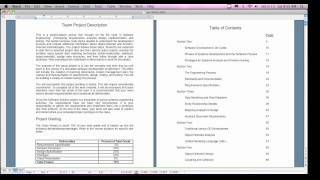 The group project SRD deliverable is also previewed. 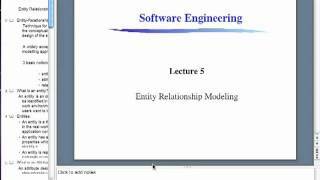 This is lecture 2 but its really the first lecture for the Software Engineering II class held at ITU on Feb 2, 2011. 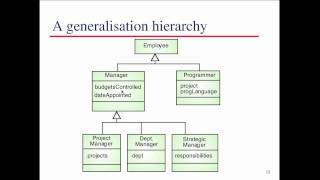 This lecture covers the course outline, project, and syllabus. 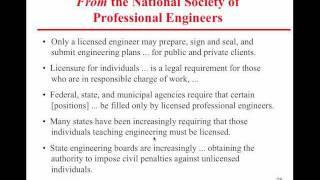 This is a good lecture to get up to speed with how the course will run. This lecture covers lectures 4 and 5. 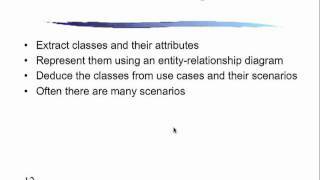 The concepts of ERD "Entity Relationship Diagrams" and DFD "Data Flow Diagrams" are described. This lecture covers Software Reliability. This lecture reviews the Midterm Exam and CSLO essay. 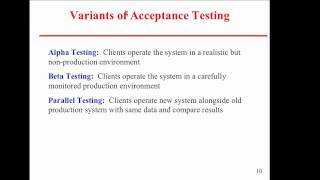 It also covers the first part of lecture 8 on Software Testing. 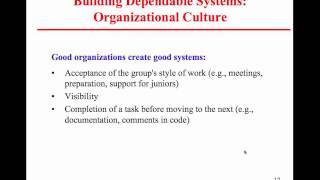 This lecture covers Software Reliability, Dependability, Security and Safety. 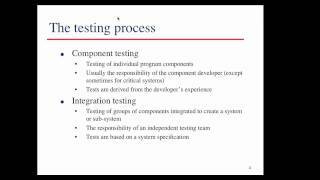 This lecture covers the concept of Software Testing. 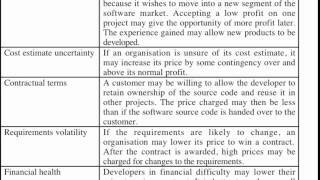 It also starts a lecture on the Software Design Document. 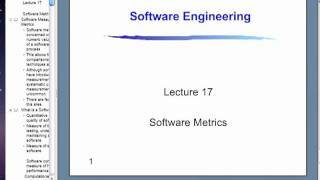 This lecture discusses the concept of Software Prototyping and Software Metrics. An overview of both concepts is provided. 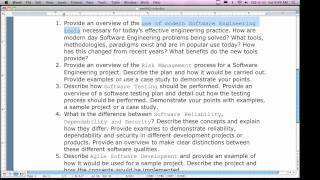 This lecture reviews the content for the Software Engineering Final Exam. 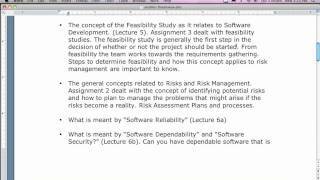 This lecture covers the end of lecture 7 on security and the first part of lecture 9 on Software Cost Estimating.